I have found the list of keywords my visitors are searching by to be very interesting! I would love for you to email me at sandycope@aol.com and let me know who you are searching for. And, I would love to exchange info with other researchers of Maynor and any of the kindred families we are related to. My research also includes Chatham and Moore County, NC families of Ausley, Davis, Fields, Martindale, Phillips and many more kindred and allied surnames! The William Maynor family history begins in 1850 Chatham County, North Carolina with strong connections to Moore County. We have been unable to trace the family back in time from this date...so far. We hope that this website will generate information from other Maynor and kindred researchers that will help us find out more about this elusive family! Most family stories reflect on our Scotch-Irish heritage and others mention the possibility of a connection with the Lumbee Indians of Eastern NC (possibly Sampson County). We have not been able to prove either. We are participants in the Maynor DNA Project at Family Tree DNA, but so far we do not have a perfect match with any other Maynor. Our DNA kit number is 24872 on the Y-Results page in a grouping labeled William Maynor. You can see all the Maynor (any spelling) results at www.familytreedna.com/public/maynor. 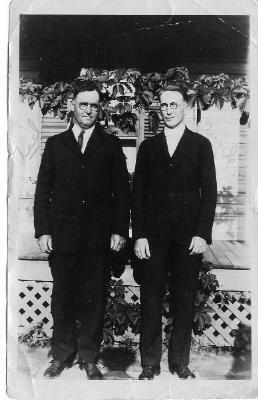 Our Maynor family has many mysteries and brick walls, including the disappearance of our mother's father, Angus Edgar Maynor, from Greensboro, NC in 1927. In January 1927, Angus was the manager of the King Cotton Barbar Shop, located in the new King Cotton Hotel in Greensboro. Family stories say he disappeared sometime around May 1927. We have never been able to find out what happened to him or locate any family or friends who heard from him after his disappearance....and we have been searching since 1973. Angus was born 6-22-1877 (or 6-2-1877) in Moore or Chatham County, NC to William Judson and Mary Ann Phillips Maynor and was a barber by trade. He worked at barber shops in Durham, Hendersonville and Greensboro, North Carolina in the early 1900's. Several of his siblings thought that he probably stayed in North Carolina -- maybe in the Asheville area -- and could have assumed a new name. We continue to hope that someone will recognize his photo and contact us. Chloe Mainard (42) lived with her 3 children ~ Josiah (6), William (4) and Theany (3) ~ and her brother, William Phillips (40), and sister, Catherine Phillips (35), on the Phillips' farm. The 50 acre farm was located in the Bear Creek Township on the border of Chatham and Moore Counties, with Tyson's Creek being the dividing line. Chloe's husband, William, was not listed on the 1850 census. PHILLIPS Research Note: We know that Chloe (b. abt 1808), William (b. abt. 1810), Catherine (b. abt. 1815), Joshua (b. abt. 1820) and Berry (b. abt. 1825) Phillips were brothers and sisters. It is possible that Stephen Phillips (b. abt. 1818) was also related. We have been unable to identify their parents or to discover how William Philips got the 50 acre farm he was living on in 1850. See Phillips Connections tab for more info. William Phillips (56, Farmer; RE 100; personal 75); Catherine Phillips (45, spinster, could not read/write); Clara (Clora) Manor (52, spinster, personal 20, could not read/write); Josiah Manor(16, farmer), Wm. Manor (14), Bethena Manor (13). The Chatham County Tax Lists show that there was a will filed by William Phillips in 1857, leaving his 50 acre farm to his sisters, Clow and Catherine, at his death---should they remain single. Upon the deaths of Clow and Catherine, the land was to go to two nephews, William Phillips, son of Joshua, and William Baxter, son of Crisinbery (known as Berry). Edward Phillips, a good friend of William's was Executor of the will. A personal property estate sale was held in March 1863. See Phillips Connections for a copy of the will and personal property sale. 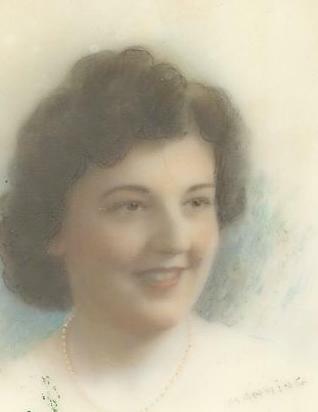 Cloe Manah (age 60) lived with Thena (age 22) in Chatham County on a farm. Cloe's occupation was "keeping house." The property was valued at 150 pers. @140. (The census index for 1870 lists Chloe's name as Cleas Manar). Chloe died sometime after 1870. The only official records we have found naming William Maynor (Mainard) are the death certificates of his children. The 1917 death certificate of his son Joseph (Josiah) states that William was born in Sampson County, NC. Research note: Many spellings of the name "Maynor" have been found in our research including Maynor, Mainord, Maynard, Mainer, Manair, Manor, Mainor, Mainard, Maness, Manah, Maner, Manard, Manus, Maynis, and Maners. Census indexes have transcribed Manr as Mann and Maner as Mauer. And...we also found different spellings within family groups!